… taxes are decided by the people themselves; that is a guarantee that the tax are executed well, because if my cantonal government in charge of the Cantonal University wants to improve it and needs more money, they have to convince the population that this one is needed and if they have to raise taxes for this reason, they will have to convince them so that people will be willing to pay taxes. Ambassador: In Switzerland, people consider public wealth as their own; so if I will use my government’s money to do private things, then I will really have the impression that I am stealing from my fellow citizens because I am also a tax payer. PT: As an ambassador, you fly economy? We believe Nigerian officials fly first class. Ambassador: Oh yes, that is why I hardly meet them, I must fly economy. The only exception is that when you are first appointed and when you are going back, that is the first and last trips; you are allowed to fly on Business. …. none of our Cantonal Governors fly official or private jets. Perhaps it is due to the proximity between citizens and their elected representatives. They walk in the street and take the trains to work just like any other citizen. we fly economy because I will surely feel a level of guilt to fly business for a flight that cost $5000 in business and $1000 in economy. The thing is what value can that $4000 difference add to my country, and that has always been the guiding principle. With Nigeria’s Customs boss, Mr. Hamid Ali, a supposedly close ally of President Buhari flying First Class recently on a British Airways flight, I bring back an old post about a remark made by the former Swiss Ambassador to Nigeria. Despite Switzerland’s great wealth, Mr. Hodel, the Ambassador had given given an interview to PREMIUM TIMES on various subjects. 1. Does the Minister of Finance’s circular on the ban of of First Class travel by government officials not affect Hamid Ali? 2. What is Ali’s salary that he can afford to spend over N3 million ($11,000-plus) for a ticket? I will recommend Nigerian government goes a step further: restrict all officials below ministerial, governors and the VP and President to economy-class travels. 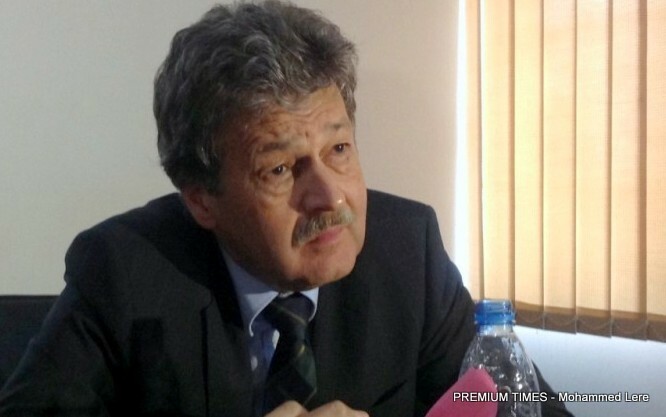 If Swiss can practise what Mr. Hodel does, what would be the excuse of Nigerian officials, especially governors who owe several months in salaries, and some owe have not paid workers for 2 years.